feast your eyes on the beauty of Spring! These are the first signs in my part of the world…how do they compare to yours? 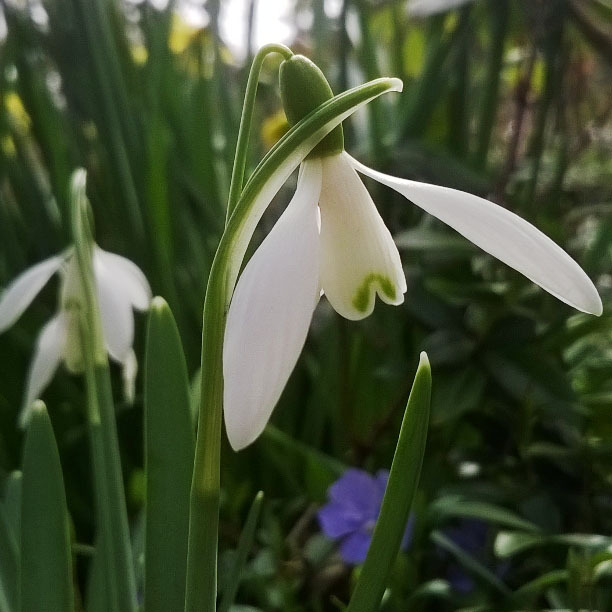 Snowdrop (Galanthus): I adore the tiny British Snowdrop, I look forward to its little nodding head and vibrant green marks. It’s a sign that winter is beginning to draw to a close. It generally flowers before the vernal equinox marking the arrival of spring in the middle of March, but can flower from midwinter on. 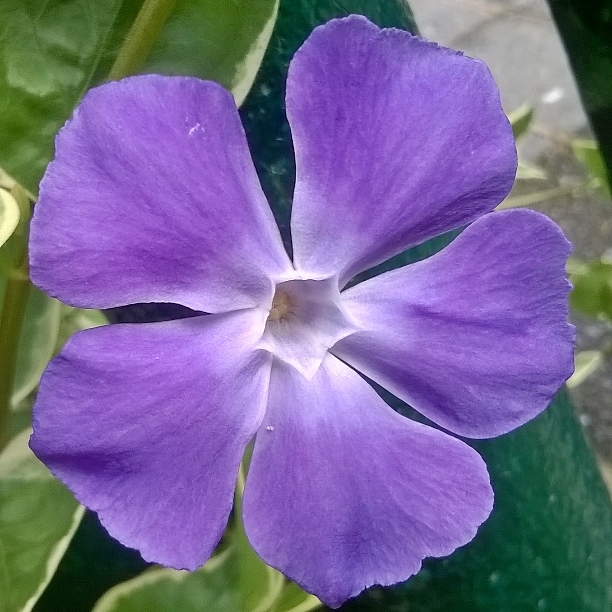 Vinca (commonly known as periwinkle): This always delights me with that shock of purple spreading like a carpet of blue across the woodland floor and winding up tree stumps. In India the plant is known as sadaphuli meaning ‘always flowering’. Scilla: Blue seems to be the colour for spring, and the dainty, delicate Scilla peeps out of the bare ground in the early months of the year. It’s usually native to woodlands and meadows where I live. 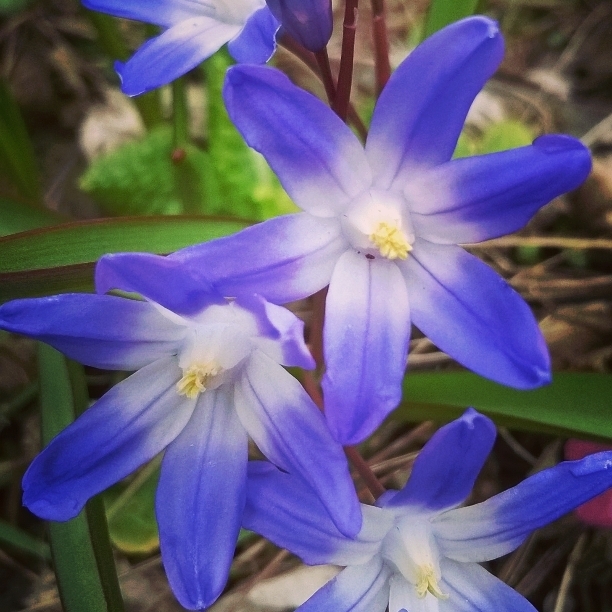 Chionodoxa: Another beautiful blue bulb known as glory-of-the-snow also opens its petals in the early months, and produces some of the truest blue in all horticulture. Its tiny starry-eyed flowers brighten up the early months. 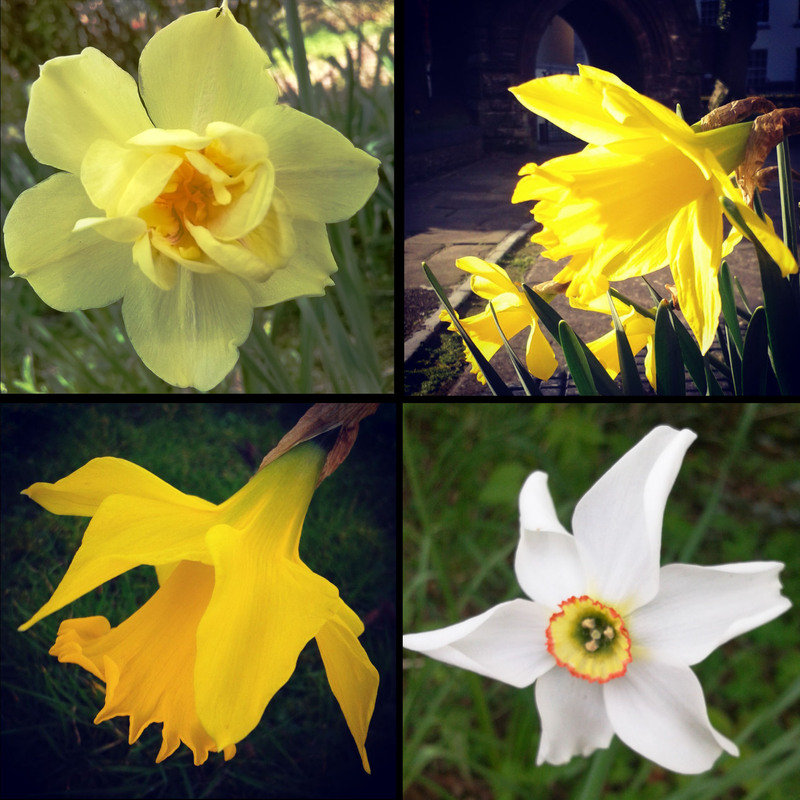 Daffodil/Narcissi (Narcissus): Perhaps the most famous spring flowers in every array of sunshine yellow you can imagine. Generally small narcissi flower first, heralding spring and paving the way for the daffodils and their huge trumpets of colour. Primroses (Primula vulgaris) and cowslips (Primula veris): Meadow flowers that spread through fields, woodlands and everywhere they can. 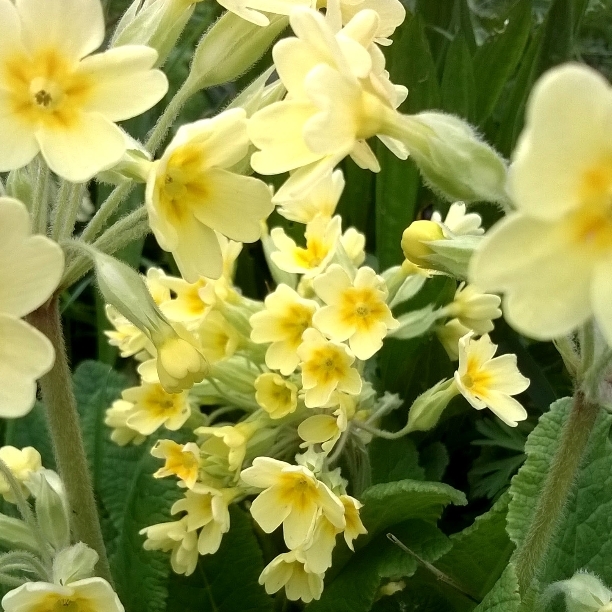 The primrose was Benjamin Disraeli’s favourite flower, and cowslips are my mother’s favourite. Hardy and one of the first splashes of creamy yellow as the days get warmer. 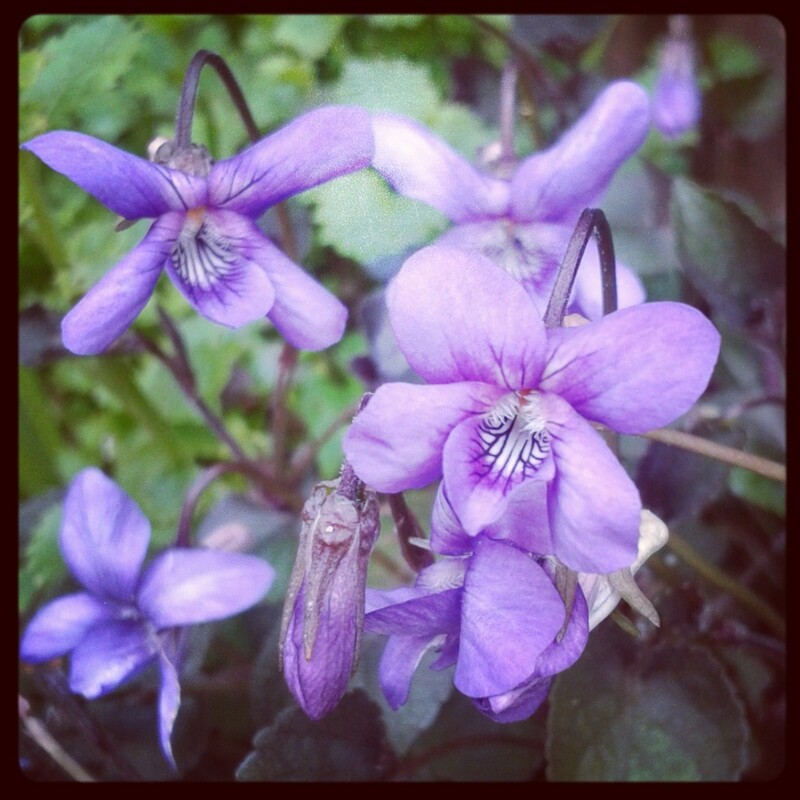 Wild violets (Violaceae): As much as I love pansies and violas, I can’t imagine spring without the tiny wild violets that pop up from nowhere and spread through the garden’s nooks and crannies, and their colours are softly beautiful. 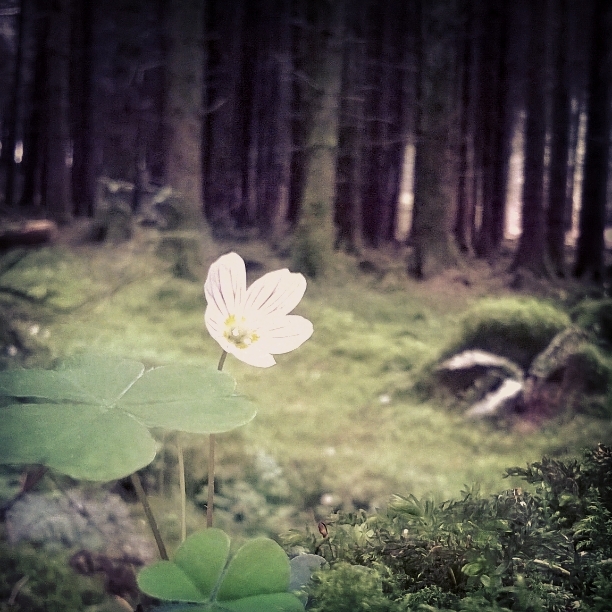 Oxalis (Oxalis acetosella): There are many varieties of oxalis, but the common wood sorrel is the one I love best. The fragile petals have delicate stripes in the palest of pink and remind me of fairy dresses. The leaves can be eaten, but are quite sour. 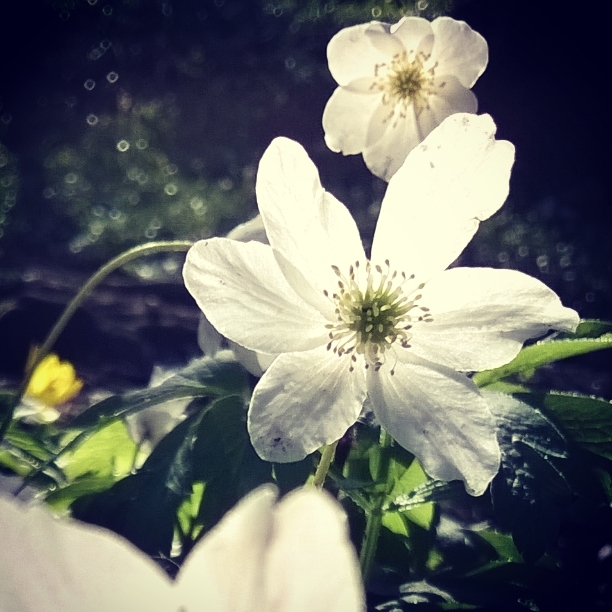 Wood Anemone (Anemone nemorosa): These white flowers can be starry shaped or have big petals like fairy wings, and swathe the woodland floor in March and April like a galaxy of stars. One of my all-time delicate favourites. 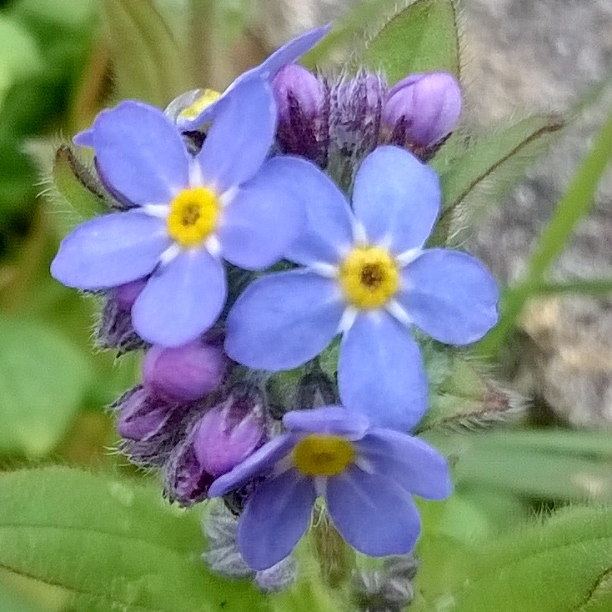 Forget-me-not (Myosotis): Another true blue of the horticultural world. In a German legend, God named all the plants when a tiny unnamed one cried out, “Forget-me-not, O Lord!” God replied, “That shall be your name.”. These are truly unforgettable sky-blue little flowers that in a clump can look simply stunning. 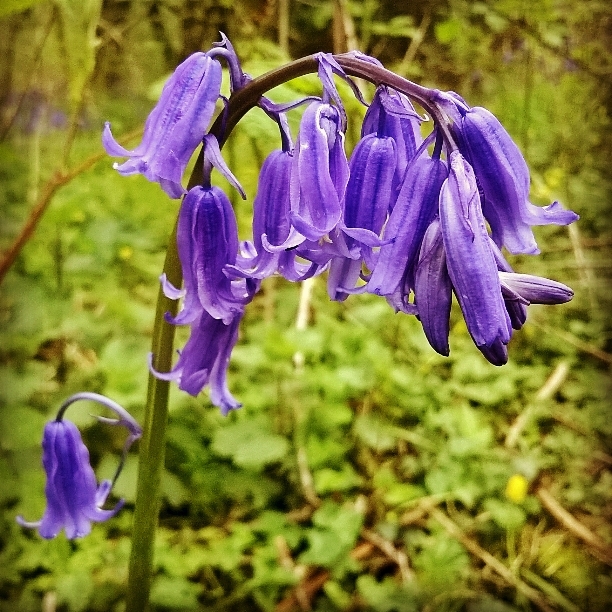 Bluebells (Hyacinthoides non-scripta): This flower becomes your bonus (number eleven) in this post. 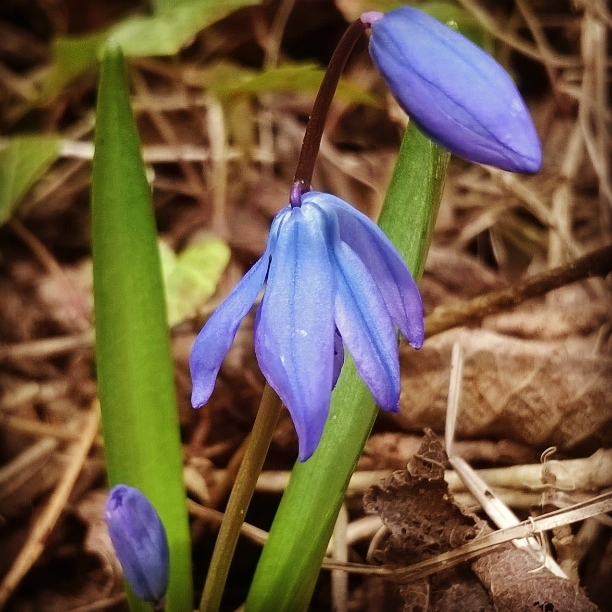 It’s my favourite flower and will have a post all of its own…but for now…enjoy another bonus of spring and the prominent blue that blankets the woodland in April and May. how fares yours this Spring? 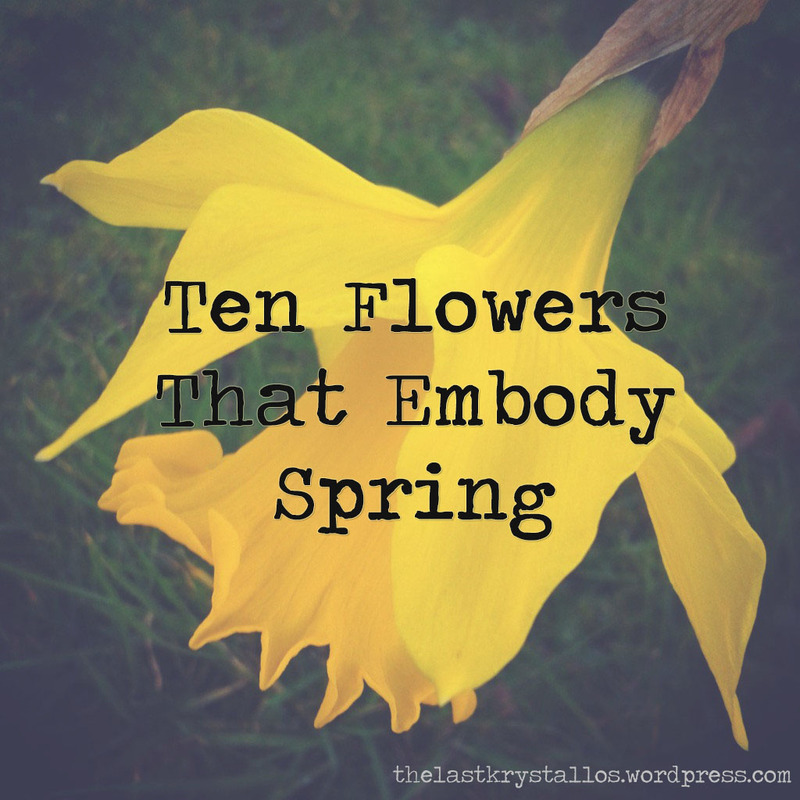 What are your favourite Spring flowers? This entry was posted in Flowers, Photography and tagged blue flowers, Bluebells, chionodoxa, cowslip, daffodils, flowers, Forget-me-not, narcissus, oxalis, periwinkle, primrose, purple flowers, scilla, snowdrop, spring flowers, vinca, white flowers, wild violets, wood anemone, yellow flowers on 1st April 2015 by Lisa Shambrook.